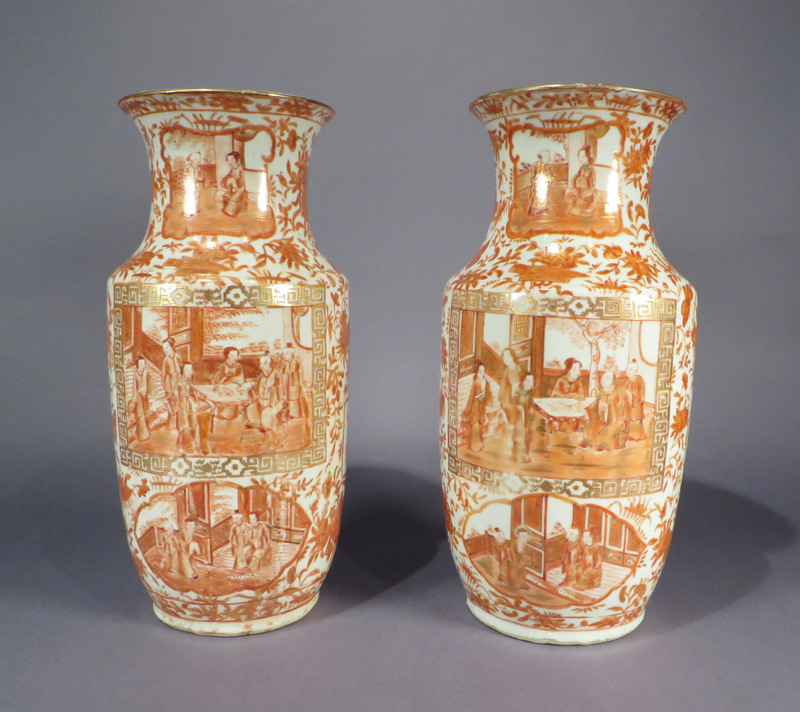 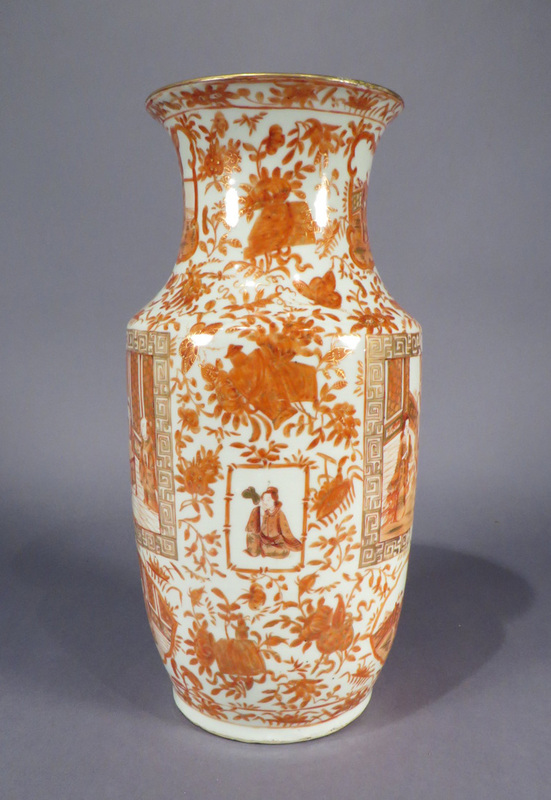 Pair of orange Mandarin vases c.1860. 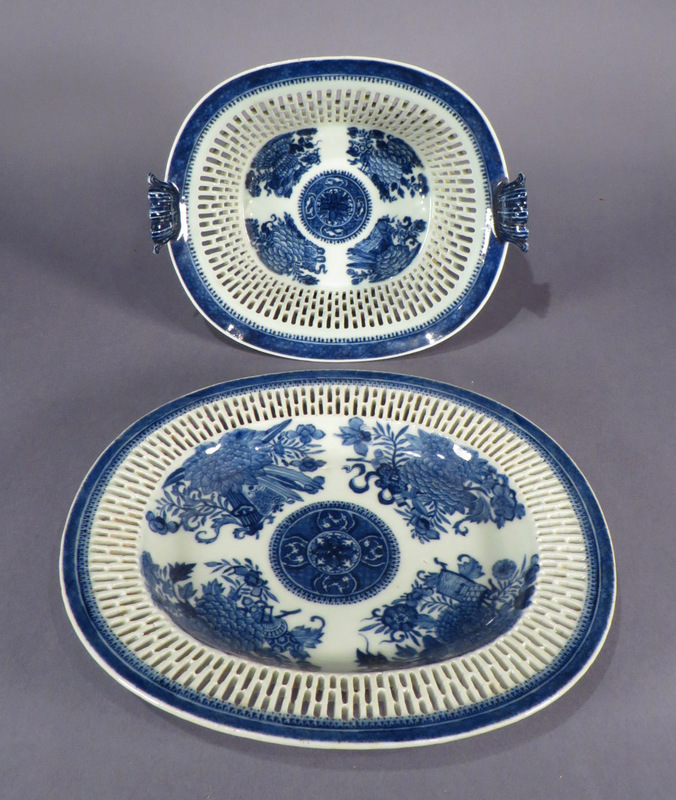 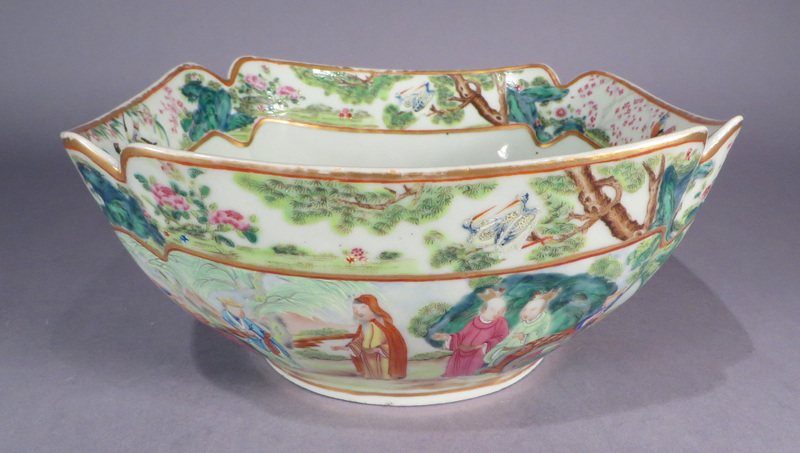 Chinese export porcelain blue and white Fitzhugh reticulated bowl with underplate c.1790. 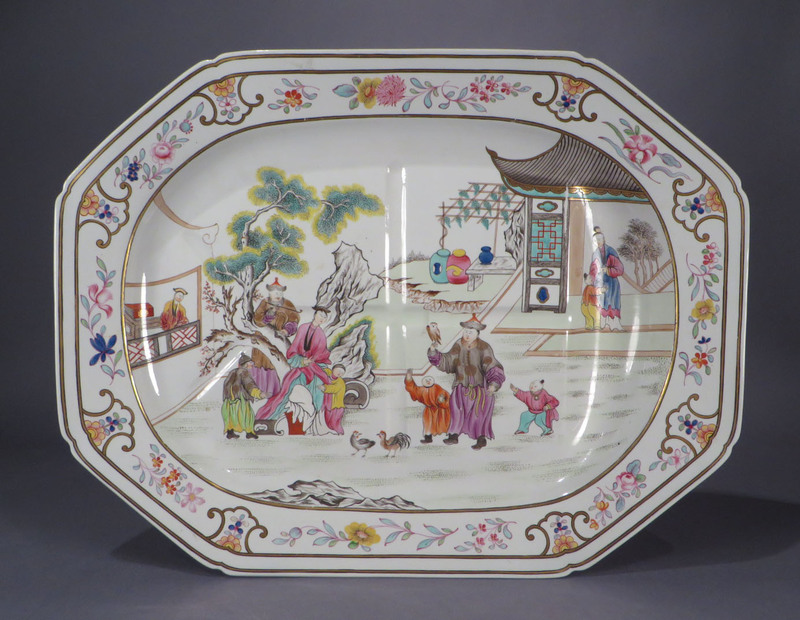 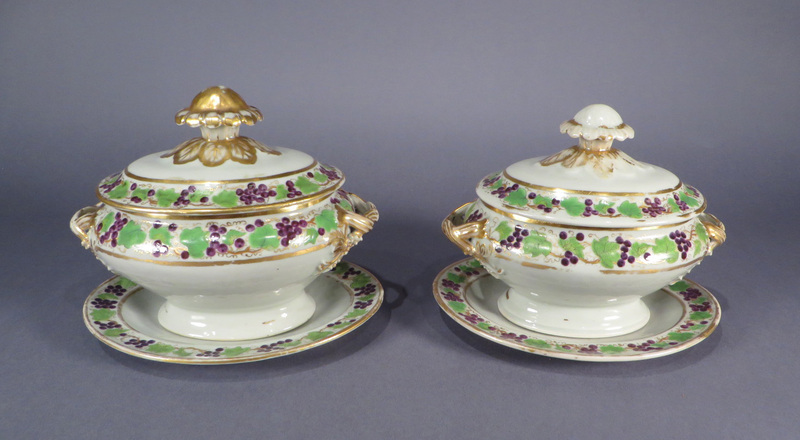 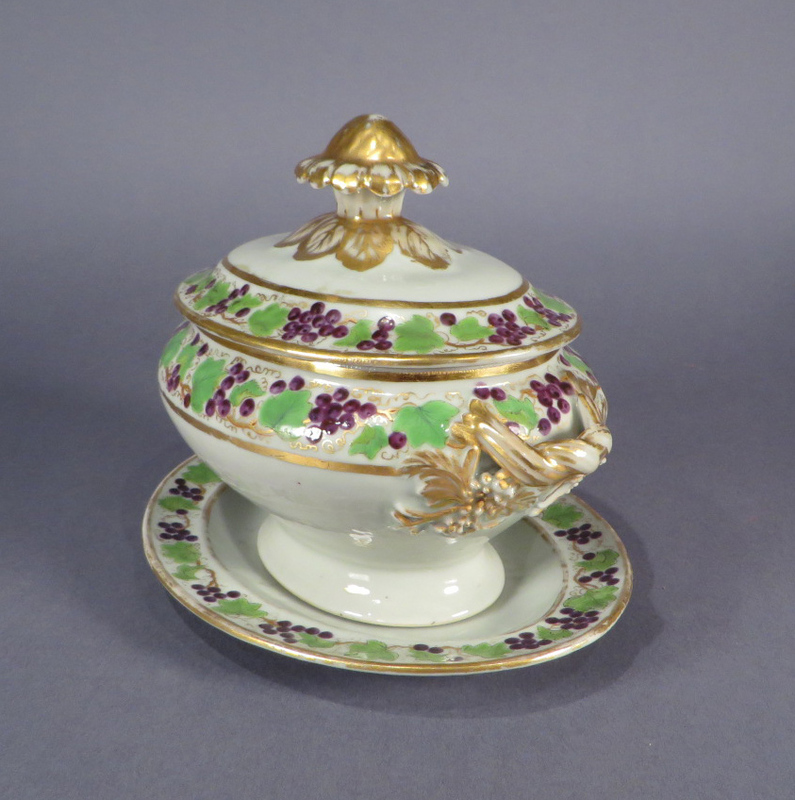 Pair of Chinese export porcelain sauce tureens with grapevine pattern, c.1810. 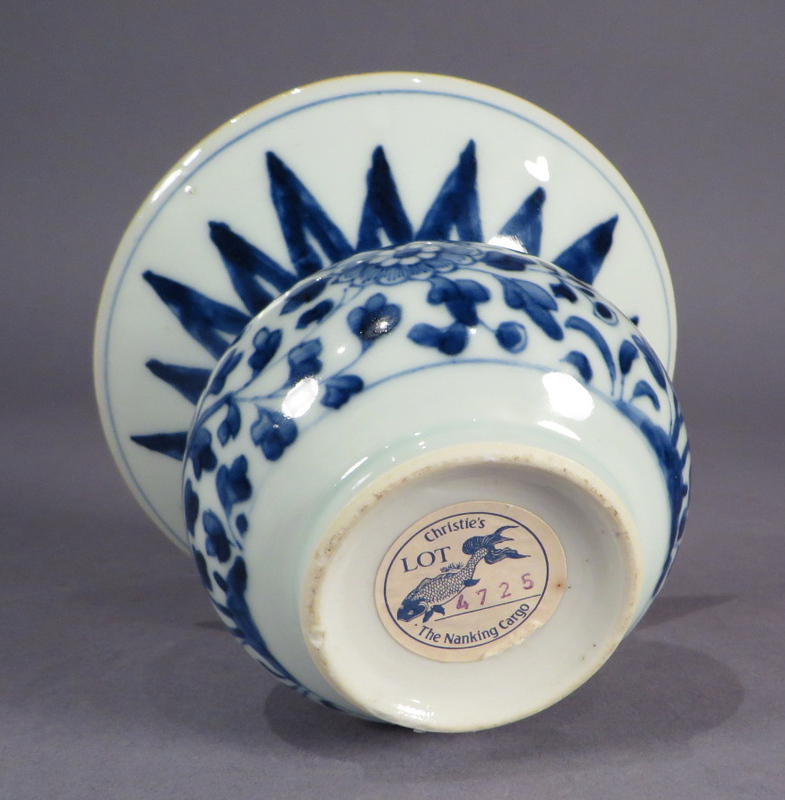 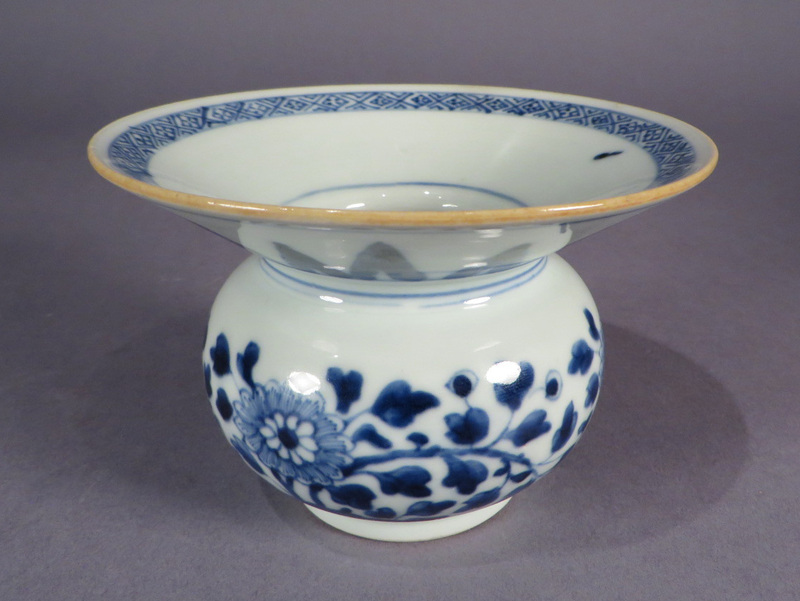 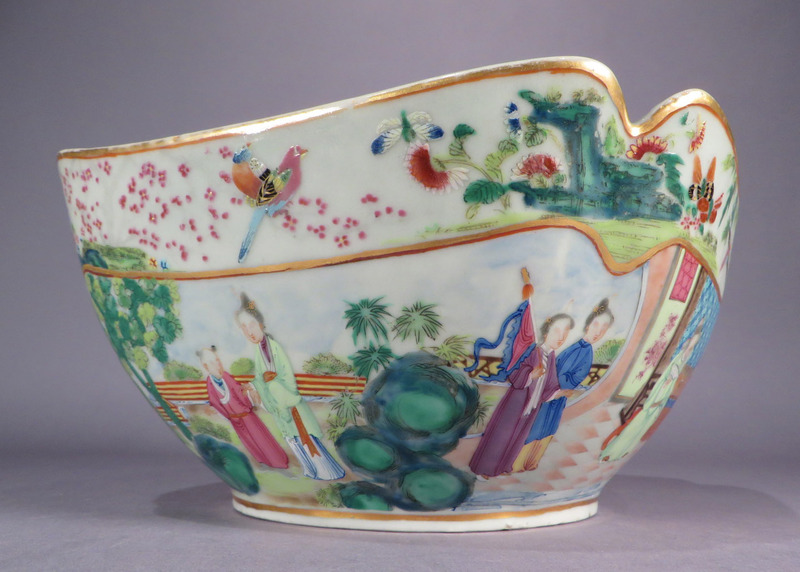 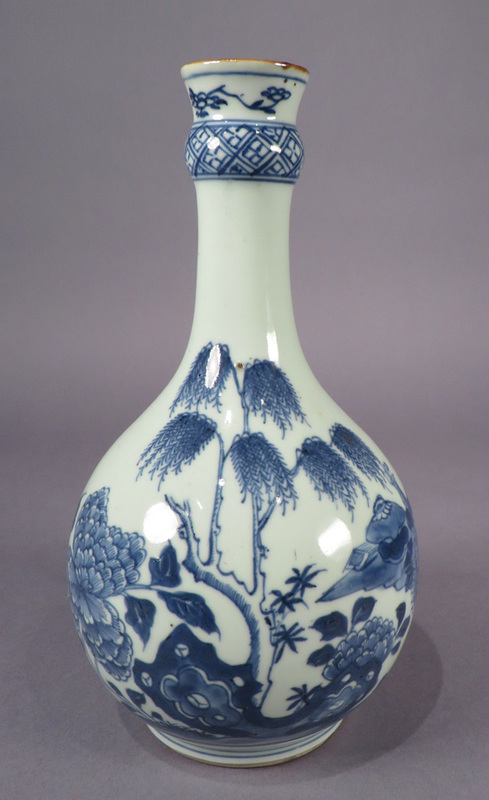 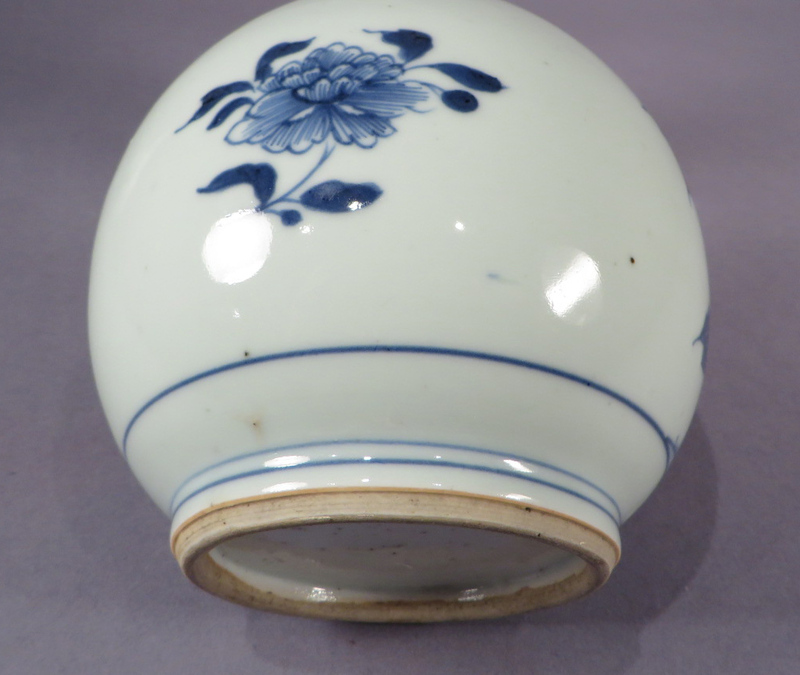 Chinese export porcelain spittoon from the Nanking Cargo (Geldermalsen), 1752. 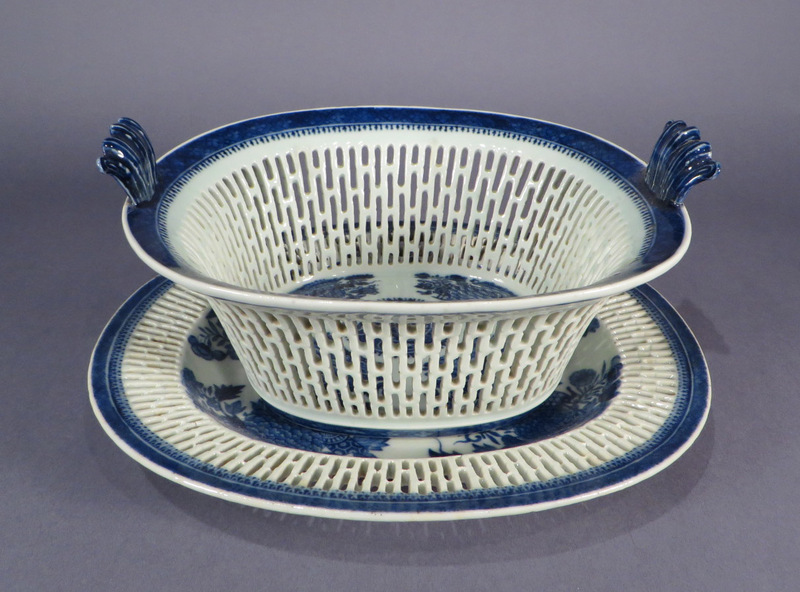 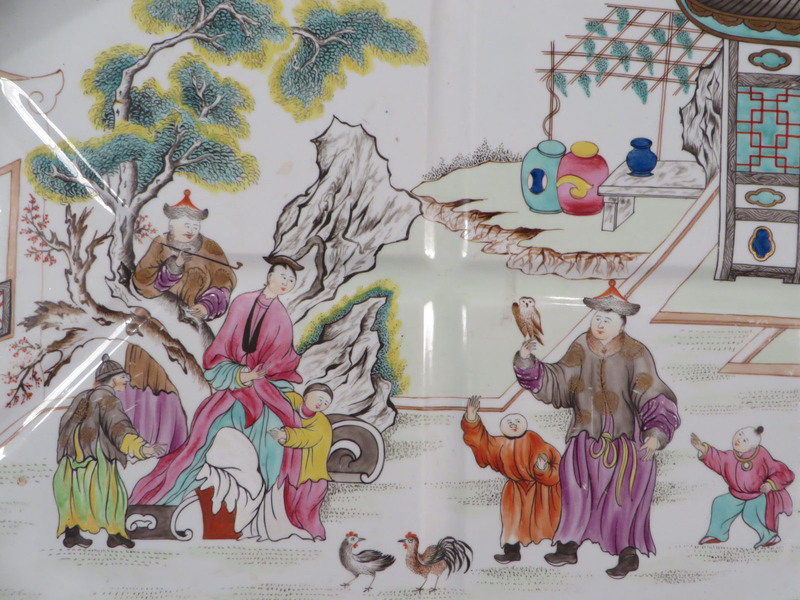 See The Hatcher Porcelain Cargoes, The Complete Record by Colin Sheaf and Richard Kilburn.